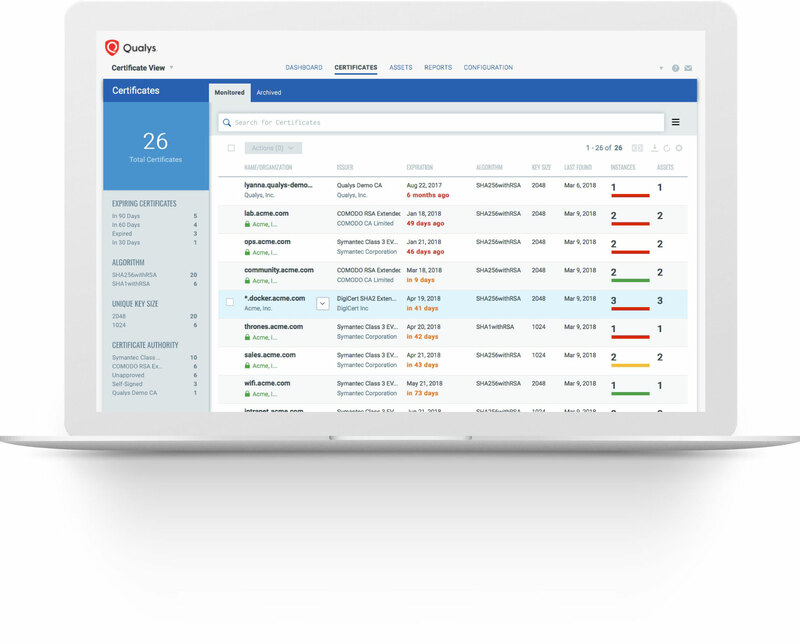 Qualys CertView | Qualys, Inc.
Don't ever let your digital certificates expire. CertView is totally free, and there’s no software to download or install. CertView generates certificate instance grades (A, B, C, D, etc.) using SSL Labs’ straightforward methodology that allows administrators to assess often overlooked server SSL/TLS configurations without having to become SSL experts. It also allows you to quickly remediate cipher suites, protocols and key exchange parameters on the underlying endpoints. Not all Certificate Authorities are created equally. Some have a rigorous and diligent process to verify the identity of the organization before issuing certificates while others may only require a simple email address validation. You want to know if you have the latter issuing certificates to business critical systems in your organization. CertView stops expired and expiring certificates from interrupting critical business functions, and offers direct visibility of expired and expiring certificates right from the dashboard. It also prevents wildcard certificates from disrupting business that relies on secure communications with authenticated partners and customers. Extend inventory and assessment of your Internet-facing certificates to include your internal network where your most critical data resides. There’s no interruption. See all of the results in a single interface. 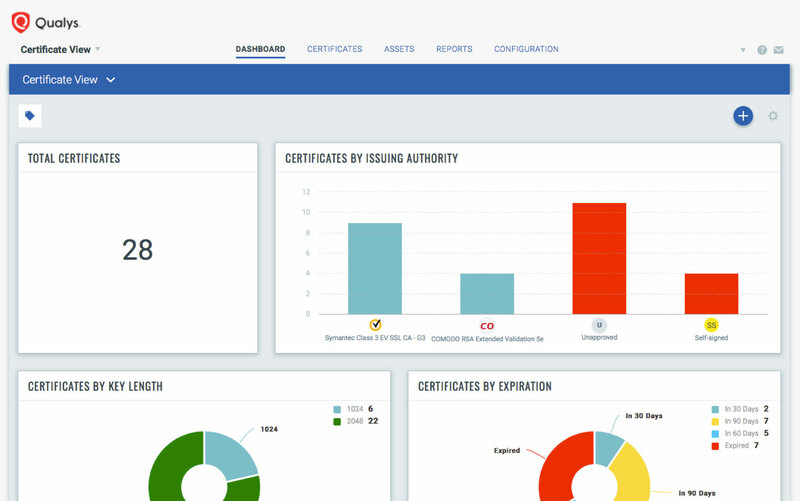 CertView continuously discovers and monitors certificates across the enterprise to ensure certificates are renewed before they expire, which stops certificate-related outages and improves availability, across both on premises and in cloud instances. Organizations often overlook improperly configured TLS endpoint services, underestimating their security and compliance risks. These misconfigurations are a major vector for breaches. 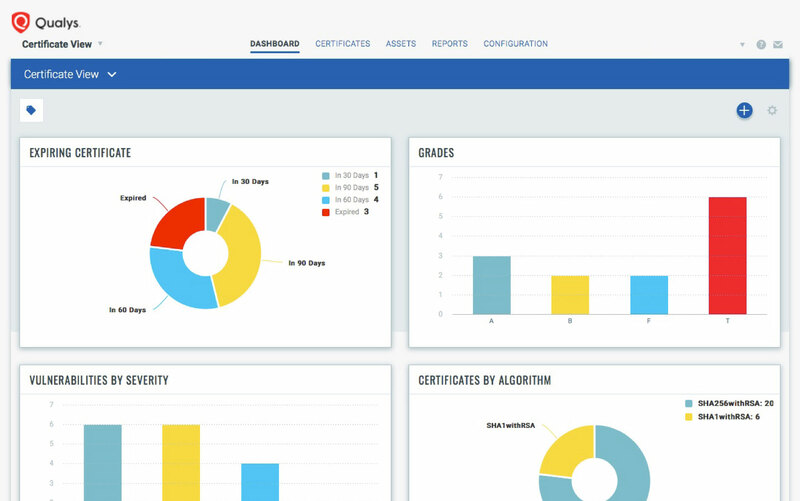 CertView identifies out-of-policy certificates with weak signatures or keylengths, and shows you how many certificates were issued by Certificate Authorities (CAs) that have been vetted and approved per your policy and how many certificates are self-signed or were issued by CAs that have not been authorized to issue certificates in your environment. Controlling the number of CAs that can issue certificates to your environment helps control the chain of trust for your domain, preventing man-in-the-middle and spoofing attacks. 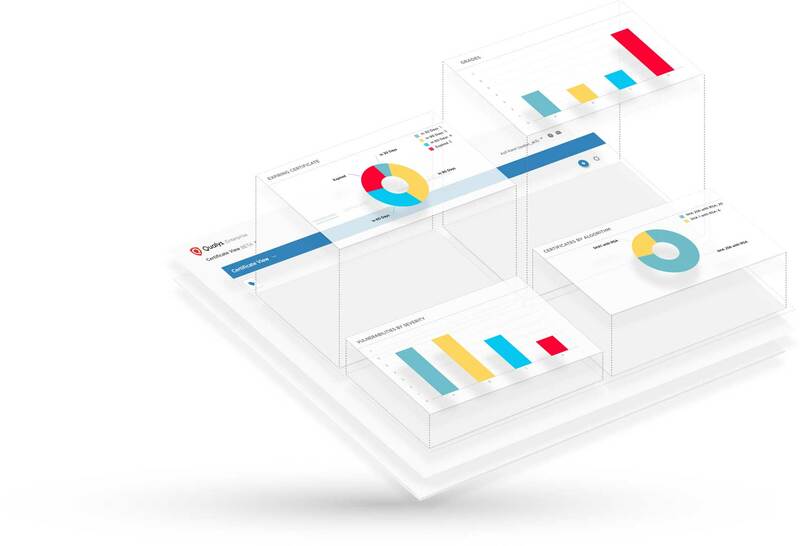 Customizable dashboards with highly configurable widgets help you see your certificate status, grade information and vulnerability data in a consolidated way. You can drill down to specific data, aggregate it into custom reports and create custom widgets based on queries. This visualization and analysis yields deep insights for immediate remediation. See for yourself. CertView is free! And as a cloud-based service, there’s no software to download or install. Highly accurate and scalable, Certview meets all of your needs.